Wholesale Trader of a wide range of products which include 316 stainless steel ring, 321 stainless steel rings, 347 stainless steel rings and 304 stainless steel rings. Sidharath Metal Corporation is the leading supplier and exporter of 316 Stainless Steel Ring which is made from high-quality raw materials. We are engaged in manufacturing top quality Stainless Steel 316 Ring. 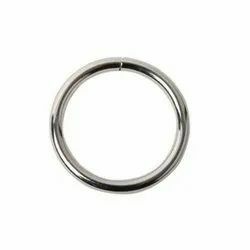 These steel rings are heat resistant and withstand tear and wear, as they are specially designed using fine quality raw material that is procured from the trusted vendors. 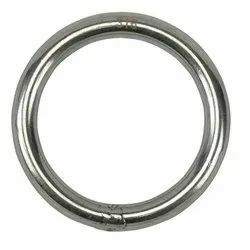 We offer a wide range of 321 Stainless Steel Rings of various shapes made by the latest techniques and trends of the market industry. These are made up of quality raw material like alloy steel carbon steel procured from trusted vendors. We are offering 347 Stainless Steel Rings to our customers. It is made of the good quality raw material having optimum tensile strength. High strength and good weldability under a wide range of temperatures. Our comprehensive range of 304 Stainless Steel Rings is highly appreciated and desired. Our SS Rings are widely used in many industries. Electronic industry uses our absolute quality SS Rings in many applications. Because of its excellent heat and corrosion resistant properties, its ductility and because it costs less than the chrome-nickel grades, this is used in countless applications. These uses are primarily for stainless and decorative purposes including household appliances, metal moulding, metal trim, cabinet hardware, hinges, drawn and formed parts and stampings. Looking for Stainless Steel Ring ?